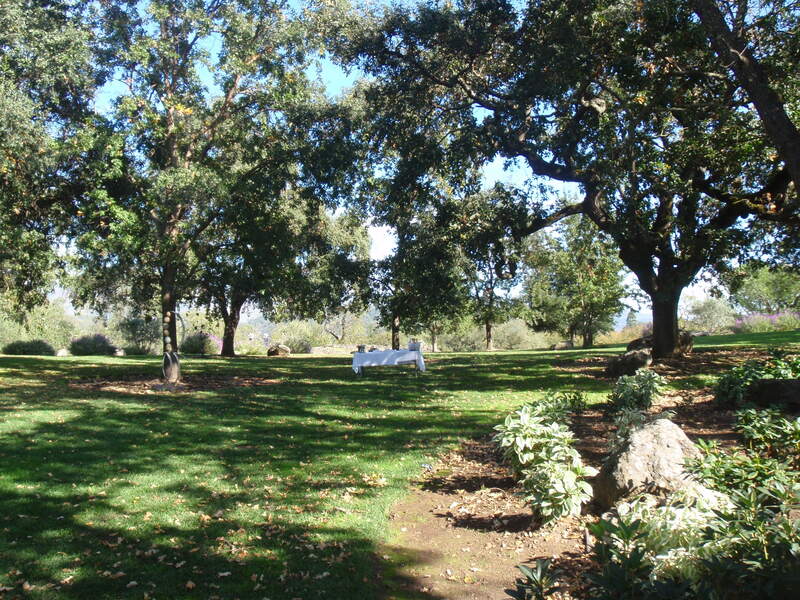 My husband and I visited Domaine Chandon in 2009, mainly because of the beautiful grounds surrounding the tasting room. The winery was founded in 1973 by Moët & Chandon, and they draw heavily on their French heritage. I am not a big fan of sparkling wines but I was pleasantly surprised by a symphony of fruity, seductive flavours produced by their expert winemaker Tom Tiburzi. 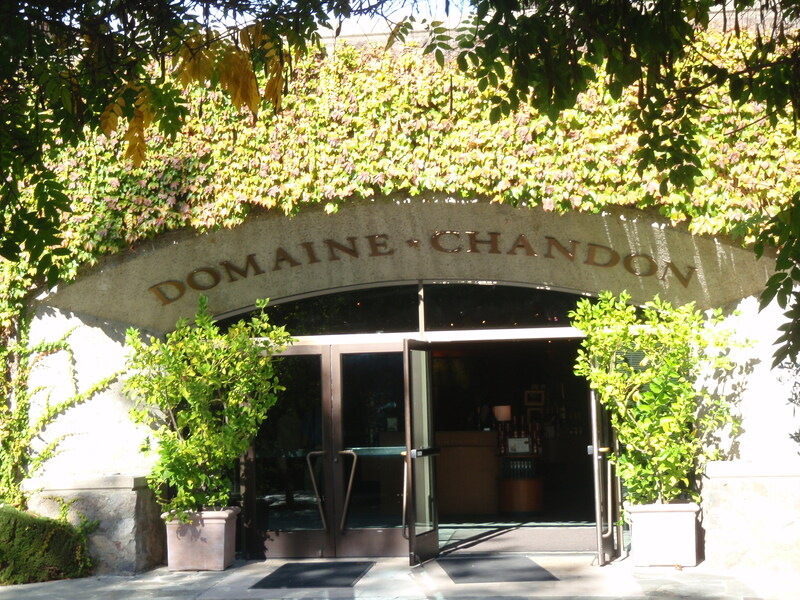 He has spent the last 21 years at Domaine Chandon creating Chandon’s diverse sparkling wines. This year, Domaine Chandon had a booth at the California Wine Fair in Calgary and we had a chance to chat with Tom Tiburzi. We tasted their Brut Classic and Chandon Rosé this time. I wasn’t able to find this bubbly in our local wine stores, so I brought a bottle from the States this spring. In hindsight, I should have brought more than one bottle. What was I thinking?!? 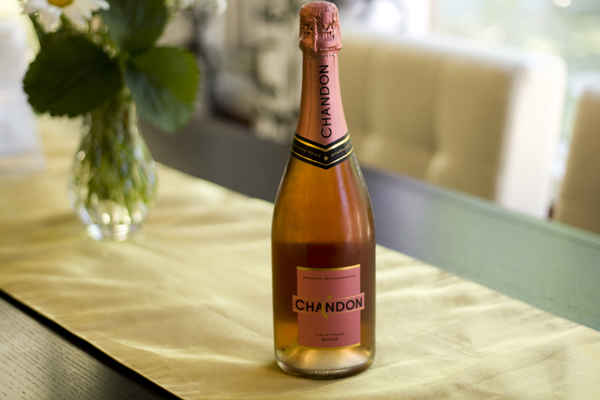 This week, the temperature finally rose to 30 degrees C, so we sampled chilled Chandon Rosé. It was heavenly! Oops, maybe that’s not the proper term…. 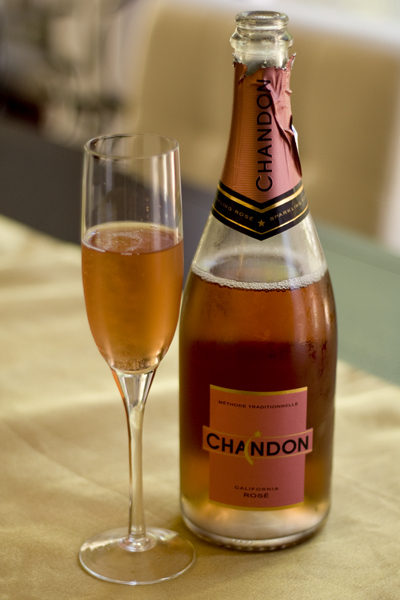 Anyway, the Chandon Rosé is a fragrant sparkling wine, very fruity, yet not very sweet. It’s crisp and refreshing, with a nice berry finish. This vibrant, fruity bubbly pairs well with seafood and shellfish. At $22.00 per bottle, it’s a great value.